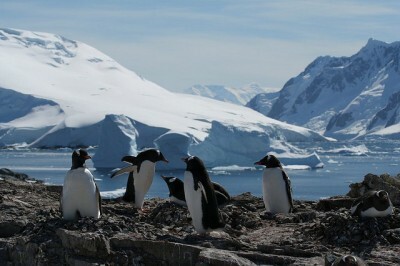 Antarctica Is Just A Flight Away, What Are You Waiting For? In 1820, Nathaniel Palmer discovered Antarctica when he was merely 22. Palmer was the captain of sealing ship Hero, and when he was in the area seeking more seals to fill the insatiable New England appetite for seal skins, he spotted the Antarctica Peninsula. In addition to imparting all 20-somethings with feelings of inadequacy (what were you doing at age 22? ), his discovery served as a springboard for generations of wanderlust souls. Indeed, the world’s fifth-largest icy continent has attracted the hardiest explorers. In one of the greatest adventure stories of all time, Ernest Shackleton and his crew survived for almost a year and a half on Antarctica, eating seal, penguin and whale meat as sustenance until a small group embarked for South Georgia island for rescue. In 1990 Will Steger’s team of five men and thirty-six huskies traversed 3,600 miles of glacial terrain to become the first humans to cross Antarctica on foot. 2001 saw the first crossing of Antarctica on skis by two women, Ann Bancroft and Liv Arnesen. More recently, Antarctica has experienced a surge of visitors due to increased access: cruises, climate research trips and educational expeditions have made reaching Antarctica no longer the stuff of dreams, but also reality. One organization, Students on Ice Expeditions, combines traveling to Antarctica with educational sessions. “Each student expeditioner will undoubtedly return home as an ambassador for the Antarctic, with a new understanding and respect for our planet, and an broadened perspective of the Earth as a global ecosystem,” reads the Students on Ice website. Indeed, getting to Antarctica isn’t as tough as it used to be, according to a recent article in the The Sydney Morning Herald. Nah, it can be quite a lovely experience — and may only take a day of your time. Antarctica Sightseeing Flights has started to offer flights over Antarctica, departing from Australia. Seeing Antarctica from 3,000 meters sounds like an incredible experience. 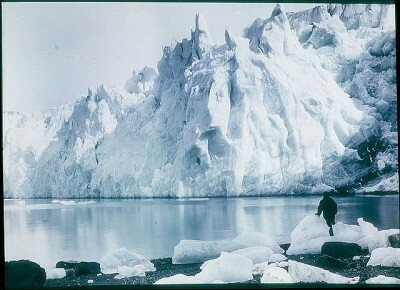 “Enormous white fragments are strewn across the surface of the water for hundreds of kilometres,” the article observes. “Directly below, a pack of orcas is breaching foaming surf. I’m not on drugs. I am on a long-range Qantas 747 on a sightseeing tour over Antarctica and my short-range brain is trying to make sense of the unusual circumstances.” Throughout the duration of the flight, a bonafide polar explorer offers educational tidbits over the loudspeaker. Two meals are served. Frankly, it sounds amazing, and I certainly wouldn’t give up the opportunity to experience the 14-hour flight — if it was on someone elses dime, of course. This flight is one pretty penny. “Prices range across seven classes of travel, starting at $1,199 for an economy center seat (no seat rotation) and rising to $6,999 for ‘ice class,’” according to the piece. And the pricing options are somewhat peculiar: It seems as if the economy seats don’t have a good view of Antarctica at all. If the whole point of the flight is to sightsee the continent, why would you pony up over $1,000 for subpar views? Undoubtedly, any person who could see Antarctica first-hand would develop a new appreciation for the planet. The stunning photographs alone are enough to transform even a Fox News pundit into a climate change activist. If more people were able to see this beautiful land, would more people want to protect it? Would there be more stewards of environmental preservation? But I have a sneaking suspicion I would feel ripped off if I were to only fly over Antarctica. I would want to walk on it; see the vast expanse and loneliness of the place; feel the wind whip across my face. Were I to venture to Antarctica, I would want to travel by boat through the turbulent Drake Passage; experience the nauseating roll of the waves. Heck, I wouldn’t mind upchucking a few times to seal the deal. Antarctica should be an adventure, not a luxury, and it should be a chore to get there. Ultimately, Antarctica is remote for a reason, and the kind of people who internalize its specialness are certainly not the ones with the fattest wallets, but the ones with the most steadfast resolve.